Our product range includes a wide range of seamless pipe. 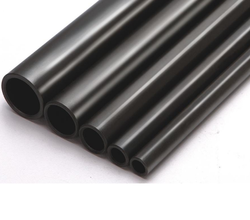 The Alloy Steel Seamless Pipes are mainly applicable in energy-related industries such as gas and oil drilling where the operation is stress subjected in machine parts. These contains qualities of various elements like nickel, silicon, molybdenum, chromium, vanadium, manganese, tungsten, phosphorous, silicon and sulfur.